Verve Marketing Group is a search marketing agency helping organizations optimize visibility through both organic SEO and paid search efforts. Work begins with an audit of your site and understanding your business objectives. Keyword research helps uncover what visitors are searching for related to your product or service — and how you are doing compared to the competition. 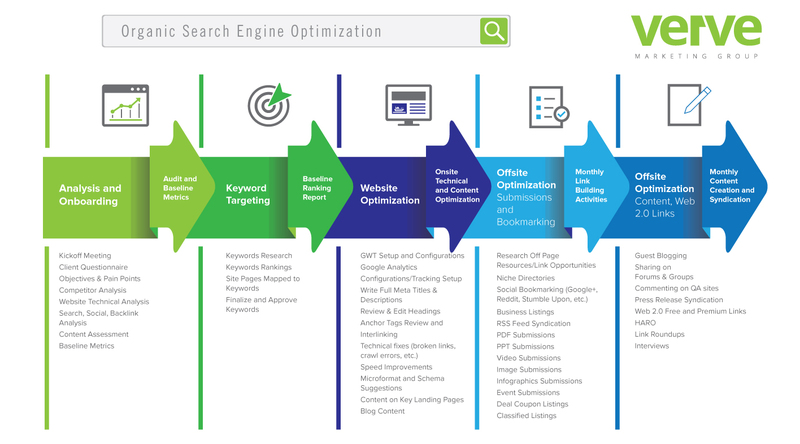 Your customized search marketing program can include a combination of organic on-site optimization and off-site linking, paid search through Google, and remarketing campaigns through Facebook, Google, and/or LinkedIn. Organic search marketing involves technical optimization of your site, content creation, and offsite linking to and from your content. Verve Marketing Group will create your text and web ads and set up campaigns in Google AdWords. Remarketing campaigns can also run through social platforms such as Facebook and LInkedIn. 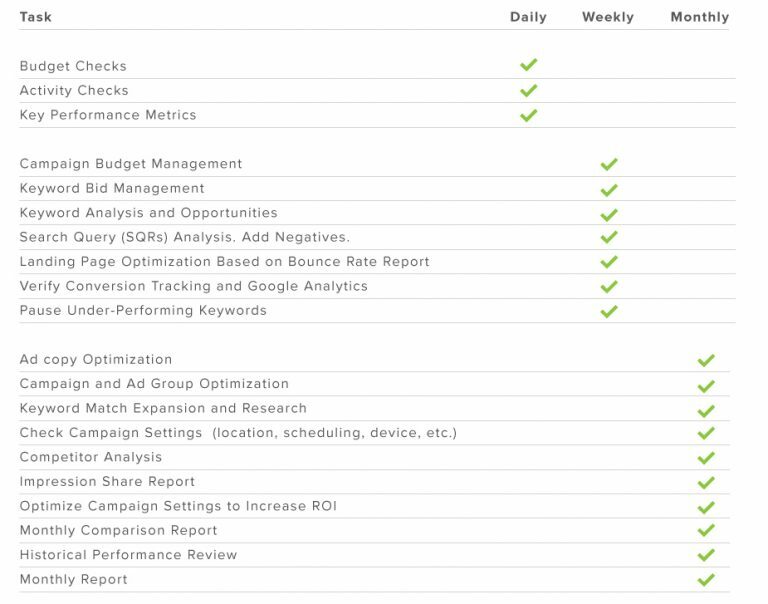 After the initial setup, ongoing activities ensure your campaigns continue to improve and deliver. Any questions we can answer? Call 630-964-6056.